Wearable technologies are the wave of the future, and can have a positive impact on a range of industries, provided there is fast, high-quality connectivity for them to make use of. 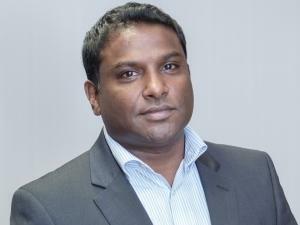 Vino Govender, Acting Chief Strategy Officer, Dark Fibre Africa. The idea of wearable technology has been with us since at least as far back as the original 'Star Trek' TV show and films like 'Forbidden Planet'. However, as often happens in science fiction, it eventually becomes a reality of a certain shape and form, and the concept of 'wearables for business' today, in conjunction with the Internet of things (IOT), is now viewed as the next big thing. Today, a number of vertical markets have begun to realise the benefits of these technologies. A good example is how organisations operating in the field service industry provide technicians with 'smart glasses' that enable them to solve issues more rapidly. At the same time, these smart glasses can help improve productivity. A good example here would be a mechanic who may need both hands to fix a machine, while also needing to constantly check information from the manual. The glasses could instead deliver the information from the manual to them on the fly, as they are working. Moreover, the use of such technology goes beyond the traditional handyman roles: they could also benefit doctors and surgeons, helping them to record procedures, consult with specialists and even access medical information in the midst of an operation. The same could be said of the corporate world, where sales professionals could utilise smart glasses to retrieve information on their customer's industry and job title, not to mention details of previous orders placed, past reviews and the date of the last meeting with the client, as they walk into their latest meeting. "The good news for industries hoping to implement wearable technologies in the near future is that South Africa is experiencing an upward trajectory in respect of its fibre to the business (FTTB) deployment. This means that the network stability and high-speed connectivity which is critical to the success of such solutions is increasing all the time," he says. "Moreover," he continues, "we are heading towards a future where large collections of wearable devices will be able to connect with one another and share information. This will exponentially increase the benefits of such technology, enabling users to share data with, or obtain information from, other employees or even external experts." "Thus, the drive towards reliable and high-speed connectivity ultimately offers a twofold benefit: not only will it aid the new business environment that is being encouraged by wearable technologies, but it is also needed to support the future potential of both wearables and other, yet-to-be-developed technologies," concludes Govender.